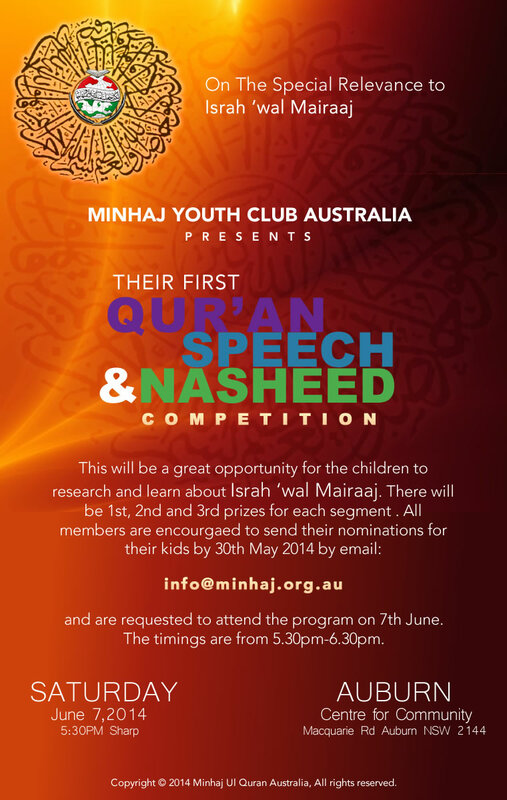 Minhaj Youth Club Australia presents their first Quran, Speech and Nasheed competition for Kids, on the event of Israh ‘wal Miraj. There will be 1st, 2nd and 3rd prizes in each category. Members are encouraged to send their nominations by 30th.